***Attention: All guests are required to check-in no later than 6:00 PM on their day of arrival. Please do not book if you are not able to meet this requirement. Looking for the perfect place to take a step back from all the crowds, rushing around viewing churches, museums and monuments? Mar-Mar offers dormitory-style accommodations in the Cinque Terre with a difference, offering you a slower pace of life that has changed little over hundreds of years. Local residents still maintain some of their traditional livelihoods of fishing and wine making, living on the steep rugged hillsides along the Cinque Terre coastline. Riomaggiore is the southernmost village of the 'five lands', making it an ideal place to begin your exploration of the Cinque Terre National Park and the famous hiking trails. This is the ultimate location to relax with the locals, take some time out and experience the authentic rural Italian lifestyle. Mar-Mar has traditional accommodations, full of character and home comforts, right alongside those of the locals so you feel part of the community right from the beginning. Explore the remainder of the villages at your own pace either on foot or by train. Take some locally made wine down to the rocks and watch the sunset over the med, or enjoy a meal made with fresh local ingredients at one of the many little osterias. If you are a hiker, outdoors enthusiast or just want to switch off and chill out by the sea, Mar-Mar in Riomaggiore has the laid back atmosphere you just might be craving. Free WiFi is available at the hostel and at the Bar O'Netto which is just a few minutes walk from the dorm. Felt more like a communal Airbnb since there wasn’t a reception area in the hostel itself, but it worked well for the vibe of this area. The dorm room is huge and was never full when I stayed there. There’s a decent kitchen and balcony. The location was EXCELLENT! Train station is right around the corner, just expect a lot of stairs. The staff were really nice. I met some amazing fellow travelers here, it’s a great place for solo backpackers. Probably my favorite place in Italy! Would recommend! The only negative thing I have to say about this hostel is because it neighbors what seems like a winery, the staircase leading up to the rooms has a funky smell and sometimes has some gnats. However, it was just a minor inconvenience, not a big problem at all. The owners and the bar employees were also very kind. My friends and I loved the croissants and cappuccinos that they gave us for breakfast! Awesome location, awesome breakfast, super clean, only thing that I have to say is one of the bartenders was very rude but other than that it was an awesome place!!! Good location, pretty clean place. Cinque Terre is great. 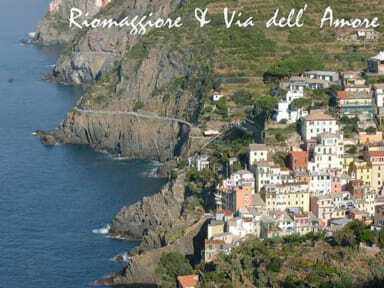 Mar-Mar is a reasonably priced hostel for those looking to stay in Riomaggiore or any of the Cinque Terre towns for that matter. There are no staff available at the hostel itself, but Bar O'Netto, where you check-in/check-out, has a friendly and helpful staff. The sheets and linens provided for my three nights in Mar-Mar were clean, as well as the two toilets and showers available within the hostel. 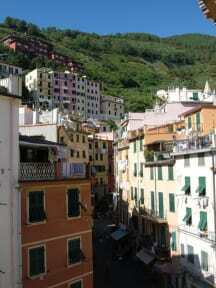 I will recommend Mar-Mar to anyone seeking hostel accommodations within the Cinque Terre. Super location and that’s what you are paying for! Very clean. Don’t pay extra tax as it’s actually included. It was difficult to figure out where to check in (you check in at a bar that says nothing about Mar-Mar on it). When you go through the doors to the hostel, they’re making wine so it reeks of vinegar throughout the hostel and it has a ton of bugs in the doorway. Otherwise, it was fine overall with a great location and view. The breakfast of a croissant and cappuccino at the bar was delicious.